The Gulf Savannah region in north Queensland is an exciting and vibrant area of investment growth and economic opportunity, and a unique tourist destination in its own right. 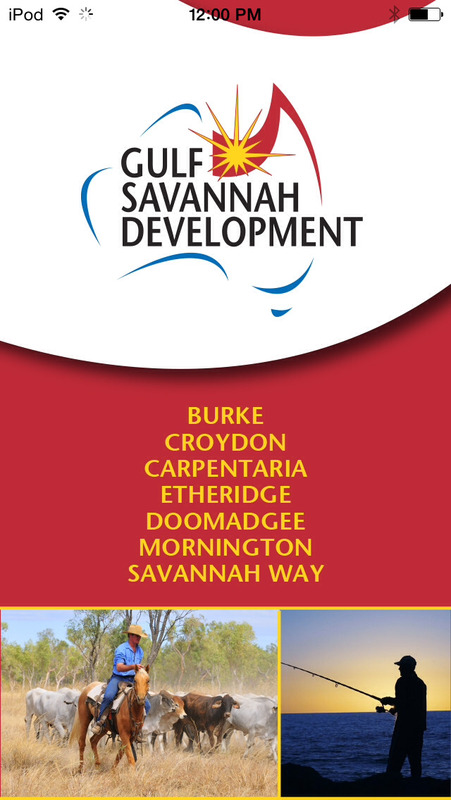 Gulf Savannah Development's voting members are the Shire Councils of Burke, Carpentaria, Croydon, Doomadgee, Etheridge and Mornington and industry partners, MMG Century and Ports North. Extending from the Great Dividing Range in the east, to the Northern Territory border in the west, the Gulf Savannah region covers an area of 186,000 square kilometres - a safari country of golden savannah grasslands abounding with wildlife. The Gulf Savannah offers the visitor mile upon mile of bushland and wide open spaces, spectacular flora and fauna, changing landscapes, World Heritage fossil fields, historic towns, aboriginal rock art, gemstones and gold. It has some of the best fishing in the world and the natural phenomena of meandering river systems, hot springs, lava tubes and deep gorges full of wildlife. This is a diverse region of developing economic importance with multi-million dollar mining operations, prosperous grazing and fishing industries and strong tourism growth. There are also significant opportunities associated with better utilisation of the region's water resources. All major centres boast modern telecommunications with mobile phone services, broadband access, road and air access, schools and hospitals.